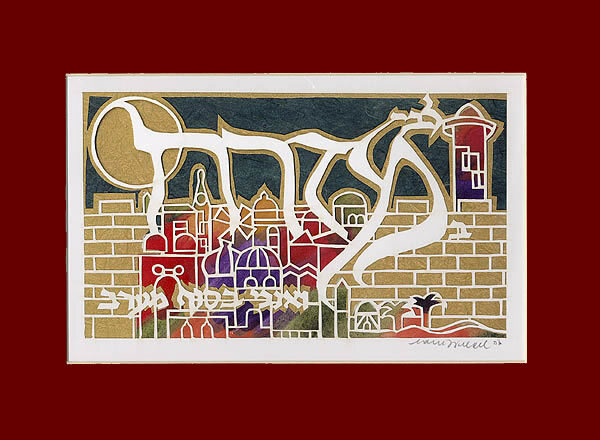 Categories: Gifts for Community Leaders, Gifts for the Jewish Home, Great Gifts for the Holidays!, Israel-Holy Land Papercuts. 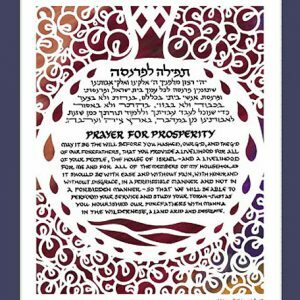 Tags: aliyah gift, Easter Wall, Housewarming Gift, Jewish Art, Jewish Gifts, Judaica, Mizrach, Papercut, Prayer, Wedding Gift. 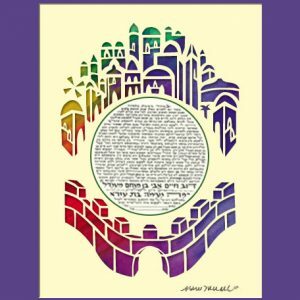 The Mizrach is an artistic sign or symbol placed within the house on an eastern wall to indicate the direction of Jerusalem for prayer. 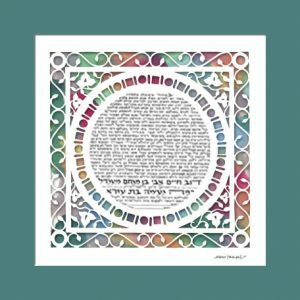 This Mizrach-My Heart is in the East, papercut Judaica, is the perfect housewarming gift, aliyah gift or wedding gift. 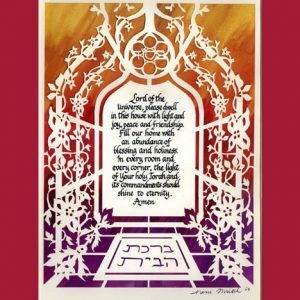 Jewish art adds beauty to the home and serves as the perfect way to convey love or thank you to the recipient.